process. The techniques of planning for success are easily applied to both traditional linear program development to interactive multimedia development for all types of programs, including communications, training, marketing, corporate news and teleconferencing. 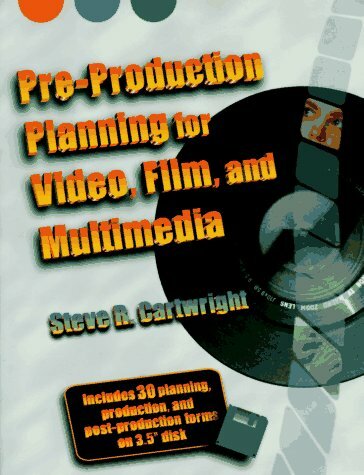 Pre-Production Planning for Video, Film and Multimedia also includes 30 planning, production and post-production forms that can be accessed on an accompanying complimentary disk (for both IBM compatibles or Mac). Steve R. Cartwright is president of Cartwright & Associates, a training and communications company, and co-owner of the Motion Graphics Company, a computer graphics and animation firm. A leading producer, consultant and instructor, Cartwright is author of Training with Video and Secrets of Successful Video Programs.